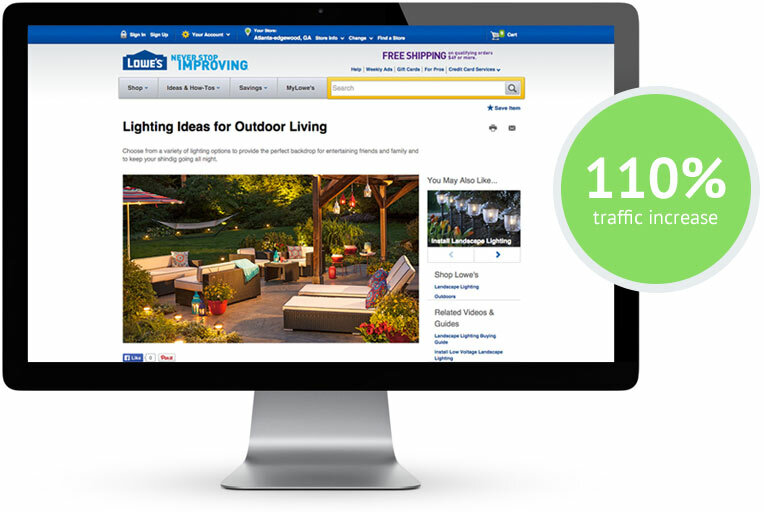 Recommendations from our comprehensive SEO audit increased traffic to Lowe’s Creative Ideas by 110%. We also implemented ways to track online engagement and keyword-optimized content to better reflect the way Lowe’s customers search for online content. Lowe’s Companies, Inc. is a FORTUNE® 100 company that serves approximately 15 million customers a week at more than 1,800 home improvement stores in the United States, Canada and Mexico. In 1998, Lowe’s, the second-largest home improvement retailer in the world, launched Lowe’s Creative Ideas, a free publication with one of the largest magazine circulations in the nation. Featuring DIY projects, home makeover ideas, decorating tips, and more, the magazine’s content is designed to differentiate Lowe’s as an affordable décor destination while showcasing the nearly one million-plus products available in stores, online or via special order. By 2012, the magazine provided digital options to readers via web browsers and top-rated apps for mobile phones and tablets. Lowe’s Creative Ideas also boasts robust Pinterest and Houzz.com followings and more than one thousand how-to videos available on the Lowe’s YouTube channel. As Lowe’s Creative Ideas ramped up its online presence, it turned to Meredith Xcelerated Marketing (MXM) for further assistance. MXM retained Relevance Advisors for a comprehensive SEO audit with the goal of maximizing the impact of Lowe’s Creative Ideas to drive increased sales of the company’s home improvement and lifestyle products. Conduct a Comprehensive SEO Audit – Explore every facet of the magazine’s online presence to locate key areas for improvement. Maximize Key Online “Real Estate” – Revamp search engine title tags, site links and page URLs. Implement Ways to Track Online Engagement –Measure the impact of user engagement. Lowe’s Creative Ideas turned to Relevance Advisors via MXM to determine if the magazine’s online marketing presence could attract a wider audience. Relevance Advisors conducted an exhaustive SEO audit, compiling its findings into a report with a list of recommendations to increase traffic, deepen user engagement, and more effectively measure the impact of the site on in-store and online sales. For example, Relevance Advisors discovered that the site’s title tags were not user-friendly. Like the titles on the spines of shelved books in a bookstore, web title tags are often all users can see when looking at a list of search results. Giving clear descriptors to these tags like “Home Improvement Projects” explains the purpose of the Creative Ideas site and allows online users to more easily identify and access the inspirational home improvement content they seek. 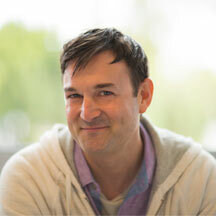 Another opportunity for Lowe’s Creative Ideas resided in measuring engagement. With print magazines, it’s impossible to track what the reader does with the information presented. But with online magazines, we can track all forms of engagement from clicking links to printing PDFs to sharing content with friends to purchasing suggested tools and items online. After submitting the results of our audit, Relevance Advisors was hired to implement the suggested recommendations. 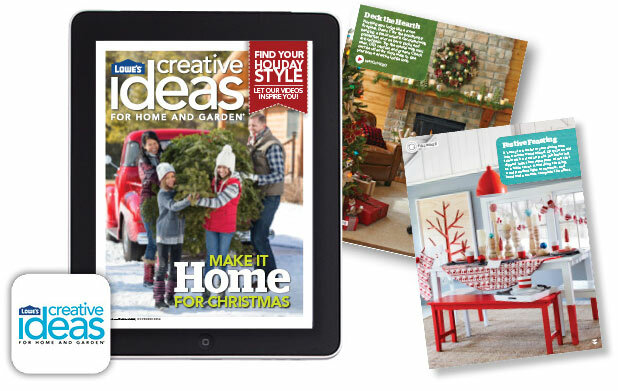 Over the next two years, traffic to the Lowe’s Creative Home Ideas site increased a staggering 110%. More importantly, engagement deepened across all platforms. With smartphone and tablet owners increasingly using their devices to access news, magazines and other content on the go, Lowe’s mobile content strategy is paying off. Thanks to its accessibility and its meaningful, exclusive, targeted how-to content, Lowe’s Creative Ideas is optimizing product placement and driving sales. Indeed, MXM and Relevance Advisors have taken Lowe’s tagline, “Never Stop Improving”, to heart, proving that even industry leaders can significantly grow their online presence, their customer engagement, and, ultimately, their company’s profits. The Lowe’s Creative Ideas website garners traffic in the millions, making it all the more challenging to move the needle. Relevance Advisors not only moved the needle, they made it jump off the charts.